LONDON, July 24, 2018 – Baird Capital, the direct investment arm of Robert W. Baird & Co., announced today that it has acquired a majority interest in Collingwood Lighting (“Collingwood”). 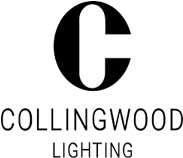 Collingwood is a leading designer and supplier of residential, commercial and exterior luminaires into the professional refurbishment and new-build markets in the UK and France. Baird Capital Partners James Benfield and Dennis Hall will join the Collingwood board of directors. Collingwood is headquartered in Northamptonshire, England. The Company’s strong position in its markets is underpinned by its products’ energy efficiency, innovation and quality alongside the high levels of service the company provides its longstanding customer base. "We are delighted to bring Collingwood into the Baird Portfolio. Its high quality products fit well with our energy efficient products strategy and our global portfolio resources are well positioned to help expand the business and optimise its global supply chain. Collingwood is committed to continue to invest in innovation and technology as lighting maintains its central position within intelligent and connected built infrastructure" said James Benfield, Baird Capital Managing Director. Steve Grao, Collingwood CEO commented "We are excited to work alongside Baird Capital. Their culture is a strong fit with Collingwood and their expertise and global resources will be invaluable as we focus on driving future innovation and growth". Baird Capital makes venture capital, growth equity and private equity investments in strategically targeted sectors around the world. Having invested in more than 300 companies over its history, Baird Capital partners with entrepreneurs and, leveraging its executive networks, strives to build exceptional companies. Baird Capital provides operational support to its portfolio companies through teams on the ground in the United States, Europe and Asia, a proactive portfolio operations team and a deep network of relationships, which together strive to deliver enhanced shareholder value. Baird Capital is the direct private investment arm of Robert W. Baird & Co. For more information, please visit BairdCapital.com. Baird Capital Partners Europe Limited is authorised and regulated by the Financial Conduct Authority.